​Clay tiles present a traditional natural look that inspires romantic visions of Spanish villas or the vineyards of Italy and France. They are manufactured from clay, a readily renewable resource, and water then fired at high temperatures. As a rule, they have minimal water absorption and high resistance to high heat cracking (they are fired after all). However, they do not withstand freeze and thaw cycles well unless you opt for the reinforced kind which is vastly more expensive. They do have a very long lifespan about 100 years; making them one of the most durable roofing materials available. Clay Tiles are very heavy so the roof must be constructed to support additional weight. Additionally, most clay or concrete tile manufactures do not recommend walking on them due to a high probability of damage. The tiles sometimes are pre-fitted to 2 by 6-foot boards which are then nailed to solid plywood roof sheathing or the decking. They are similar in expense to wood roofing but life expectancy is much longer and its fire resistance is exceptional. ​​The origin of clay roofing tile can be traced back to very early civilizations (around 10,000 B.C.) of China and the Middle East and spreading from there through the rest of Asia and into Europe. Clay tile was desired and readily used because of its common availability, durability, easy repairs, fireproof qualities and long lifespan (100 years or more depending on quality). The first settlers in America also used clay roofing tiles in the English settlements of Roanoke and Jamestown- Archaeologists have found pieces of clay roofing tiles during excavations. However, clay roofing tiles expanded in popularity during the Colonial period in America because of fears of Fire ravishing their cities. The Great Fire of London in 1666 and the Boston fire of 1679 were so devastating that it prompted establishment of building and fire codes in New York and Boston. Parts of the building and fire codes encouraged the use of clay tiles for roofs and remained in effect for nearly 200 years. ​ Terra cotta- the word itself means fired earth and the traditional color most associated with it is orange or reddish brown. The reddish color comes from a large percentage of iron oxide in the clay but variations of the percentage of iron oxide produce colors ranging from deep reddish brown to pale orange or even pink. Tan and smoky black or brown colored clay tiles were also available. Tan or buff colored tiles were made from mostly pure clay and glazing them with a manganese water solution before firing produced the smoky black or brown colored tiles. Later more colored glazes, such as purple, blue, and green became available and increasingly popular. 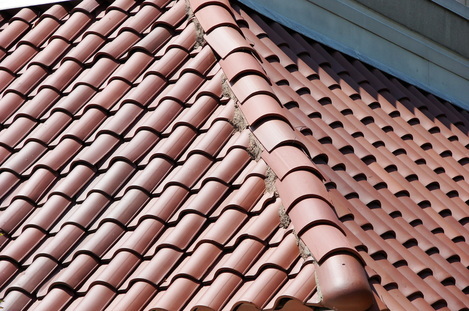 ​Two types of clay roofing tiles are offered interlocking and overlapping. Interlocking tiles come in pairs where one tile has a lip or protruding piece that the other tile will hook over and lock the two together. Overlapping tiles are without any sort of protrusion function in pairs with one tile covering part of the other and are fixed by nailing in place. Traditional shape is the half-barrel terracotta red in color. Today they come in many colors, and their shapes include the S-shape, interlocking, and flat. Some roofs in Europe have lasted hundreds of years – it really depends on the quality of the clay tile mix, how long they are baked and temperatures within the kiln (temperatures are not always even across the kiln. For example, clay tiles that have been baked all the way through are less porous causing them to retain less water which makes them hold up better to freeze and thaw cycles. Compared to Wood roofing, another natural historically appealing look, clay tiles are similar in expense but its life expectancy is much longer and its fire resistance is exceptional. Wood adds insulation and can withstand frequent freeze and thaw cycles that can be damaging to clay tiles (unless you opt for the reinforced kind which is vastly more expensive). Both are somewhat susceptible to lichen and mold because of their somewhat porous organic nature. ​Installing clay tile roofs are so much more complex than laying a simple field of tiles and is accomplished best by roofing experts. Clay tile roofing requires understanding and experience of how to install the tiles without stepping on them, proper placement of waterproof underlayment specific to the type of tile, the tight fitting of flashings (waterproof collars around penetrations) for valleys, chimneys, solar panels and skylights, fitting the tiles along hips and valleys are complicated with much cutting of tile and battens may also be a code requirement. Roof battens are thin strips of wood, plastic or metal that are placed across the roof as a pattern of horizontal, vertical strips or in grid pattern across the roof deck. They are used to prolong the life of the roof system by the increasing airflow and drainage and decreasing the possibility of uplift in strong winds. Also, battens minimize nail holes into the roof because the roofing tiles are nailed to the battens not the roof deck. When you need an appraisal for a leak repair, roof replacement, new roof, or would like more information about new and improved products for your home or businesses roof, contact Richmond Virginia Roofing. 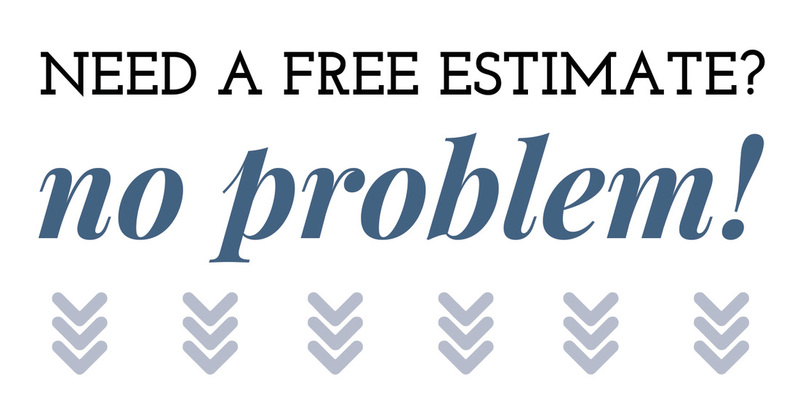 We will respond quickly and schedule, at your convenience, a time to meet and discuss your roofing needs. At that time, we will make an inspection of the roof in question, discuss options for repair, replacement or a completely new roof system including explaining possible obstacles and their solutions. Within a short period of time, we will complete our costs calculations and provide you with a written estimate detailing what will be done, what materials will be used and how long it will take.